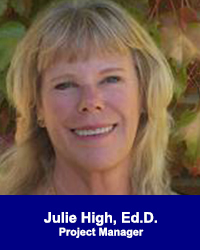 Julie High, Ed.D. - California Consulting, INC.
California Consulting is pleased to announce the winner of the basket: drum roll please! Louise Collis, Senior Project Manager, City of West Sacramento! Thank you to everyone who stopped by our booth and entered our drawing! California Consulting Associate Imelda Padilla and, CEO, Steve Samuelian, with Baldwin Park School Board Member Blanca Rubio this evening in Los Angeles. Great event hosted by our good friends at TELACU.